Due June 9, the pair reveal the project developed naturally since McVie rejoined the band in 2014 for their "On With The Show" tour. Bandmates Mick Fleetwood and John McVie are the rhythm section for much of the album, which was recorded at Village Studios in Los Angeles. 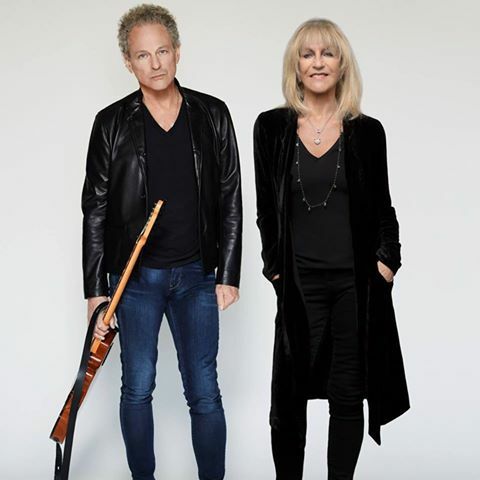 Buckingham and McVie will support the record’s launch with a summer series of concert dates across North America, starting June 21 in Atlanta, GA.
Presale tickets are available now with general public seats on sale April 21. During the trek, the pair will regroup with Fleetwood Mac to co-headline The Classic East and West festivals in New York and Los Angeles alongside The Eagles.